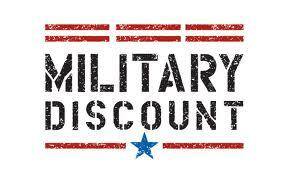 HOME > Blog > General > Do Merchants Need Military Verifications for Retail Discounts? Merchants enjoy being able to give military discounts. It’s good for business. Invariably, however, when servicemembers enter into business relationships with merchants, a time will come when one or more will want to cancel their contract. In these cases, as a merchant, you must tread carefully and obtain a reliable military status verification. The Servicemembers Civil Relief Act protects military members on active duty from certain actions. Violating this federal law and denying servicemembers their rights can get you into trouble. This can lead to fines and penalties. But how can you be certain your customers are in the military? By getting a military status verification. The SCRA guarantees servicemembers some rights that ordinary citizens do not have. Among these are automobile and property leases and insurance and cell phone plans. Normally, once a customer enters into one of these types of contracts, they are legally obligated to fulfill their end of the deal. They cannot bring the car back early, move out before a lease is up, cancel insurance and ask to have it reinstated later or terminate a cell phone contract. Servicemembers have these rights under the SCRA. But not all servicemember get this right. They have to be on active duty to take advantage of this benefit. However, timing is critical. The SCRA does not protect servicemembers who joined the military after entering the contract. Only if the client was already in the military before entering into the contract can they access SCRA protections. Getting a military verification will prove for certain whether your customer was in the military when they entered into the contract. While a military ID can prove someone was in the military at one time, the only way to be certain your customer was on active duty on a particular date in question is to get a military verification. While there are many cumbersome ways in which to try to get this information, the best and easiest way is to use the Servicemembers Civil Relief Act Centralized Verification Service. We can get you a definitive military verification, usually in 24 hours. The less time you waste waiting to proceed with your case, the less money you lose. If you need 750 military verifications a month or more, you may qualify for a batch discount and save even more. Our batch processing is seamless, fully automated and secure module and integrates into your own database. To be sure you stay in compliance with the SCRA, depend on SCRACVS to supply all your military verifications.